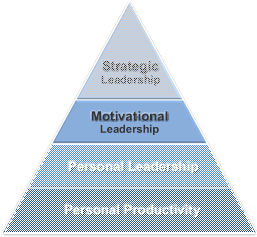 Motivational Leadership is the ability to lead and create an effective motivational environment for others. A motivational leader understands that people are the source of all progress and innovation, and thus the key to success in the 21st century. A motivational leader is able to help people develop and utilize more of their full potential. Click Here if you are interested in enrolling in an upcoming Effective Motivational Leadership program.